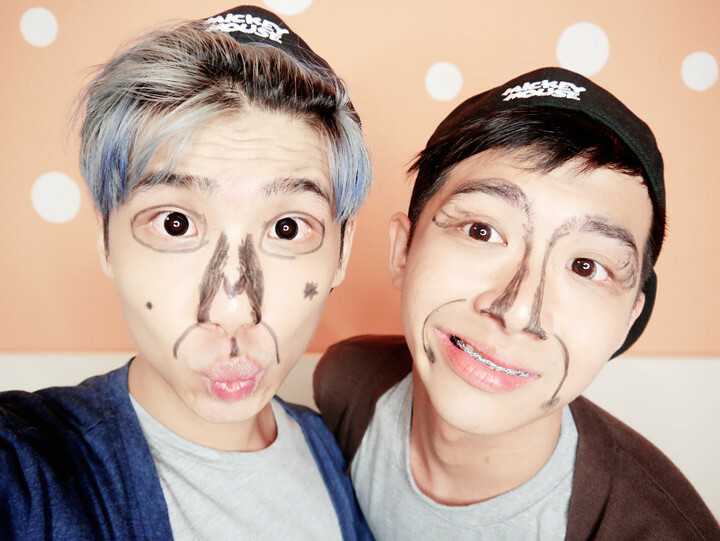 Actually this idea came about when Isaac told me quite some time back (when gwiyomi trend just started or haven't really got so popular yet), and at that point of time no Singaporeans did the gwiyomi video yet! So after knowing, I came home to tell Ran about it! But he thinks that it will end up really gross if we do the normal "act cute" version, and he didn't really want to do it so eventually we kinda dropped the idea off. But after watching more videos on youtube, it started to grow on me and I still really want to do the video!! So I asked on twitter randomly whether you guys want us to do anot, and it seems like almost everyone wanted lah! 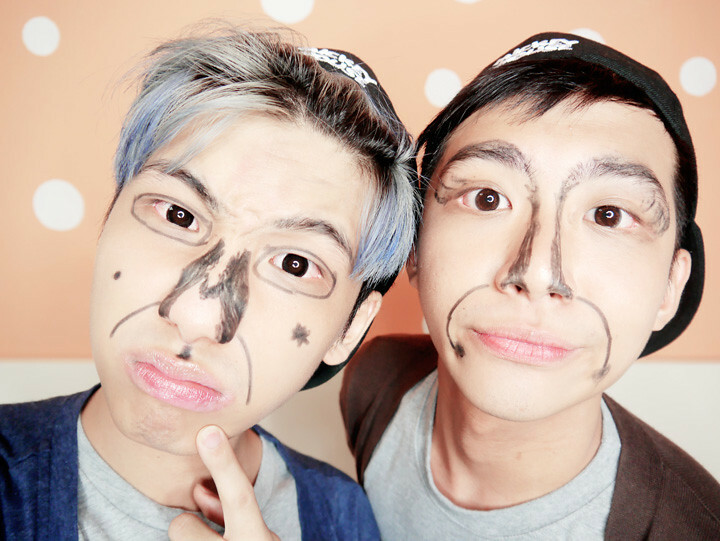 But again, we procrastinated........ not until Ran came across this gwiyomi video which makes us laugh like mad and then he decided that we should do a funny and crazy one! I think he wanted to do a funny version before he even saw this video, but I think this video gave him further inspiration hahah! And we did quite afew version of it! Normal ones, act-cool ones, boring ones etc etc. But after reviewing, we think that the best version is the one we uploaded!!! 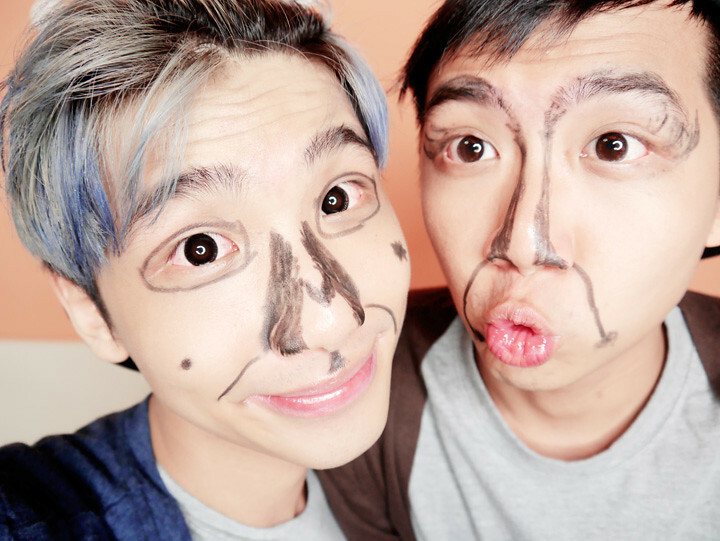 And since you guys also like our make-up tutorial video so much, it's the full of crazy make-up (pretty much inspired by the previous gwiyomi video I show you guys also) plus all the annoying crazy aunty actions hahahha!! Here's some pictures that we took after we film our video!!! Enjoy our horrifying face!!!! Hohohoho!!! Are we "cute" or what?! Hahahaha!! A kiss maybe? :* Hahaha! Remember to subscribe too! Gwiyomi ah gwiyomiii!!!! Young as he may be, yet I like his Photos, be it for advertorials or just updates, his photos are always very sharp. It's more sharp than what our eyes can see luh. Tsktsk. Being a Teen Blogger, he does serve as a very good example for us to follow. He ensures that all his photos are sharp, which is very important as I mentioned nobody wants to see blur photos, unless is arty farty ones. 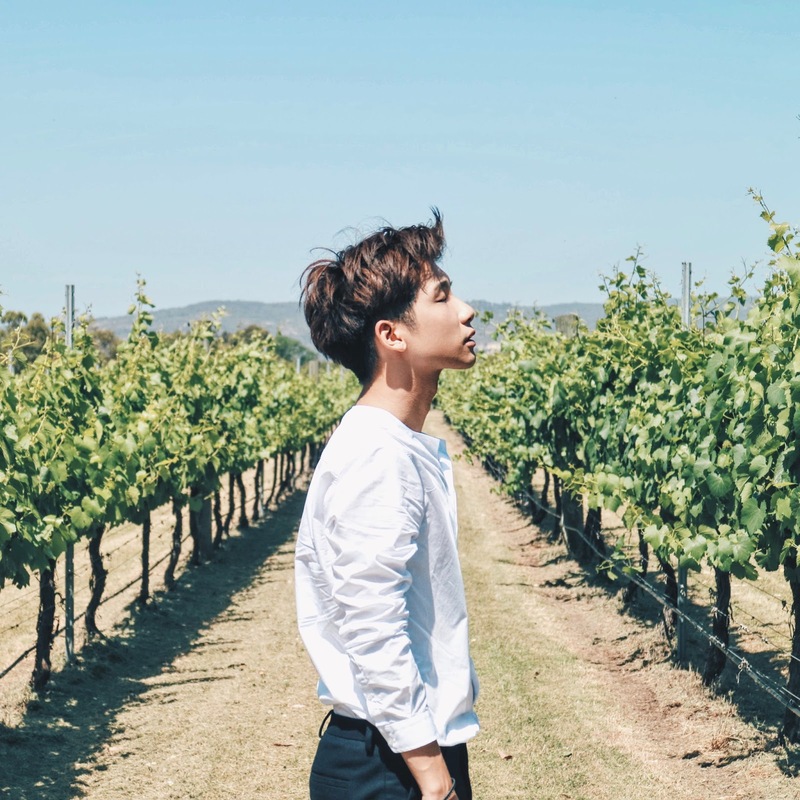 Being titled as a teen blogger, and a successful one, every time I read his Blog, I can feel the positive vibe that is being portray from his Blog. The youthfulness that we all wanna get from him. Not forgetting that cute looking face which made so many girls go GAGA over him, and make all guys out there jealous of him, including me luh. Lol. Yah and despite his cute and hansum look, he's humble about it. He hardly brags about his look, or maybe not even once. This is the main thing already, he does not brag. It's like if people knows that you're good looking, they'll know it. But if you ever brag bout it, it turns people off. And I guess this is the source of attraction to people. He don't brag despite the success he has now as well. This is like an ultimate asset. Never Brag. I've also met him several times before, and during one of the event, G+ Bloggers Meet Up, he was required to give a talk on about giving us tips on how to be successful as them. That was when I discovered he's also straightforward in some sense. Personally, I like his style of dressing. It's like casual yet fashionable at the same time. I don't get it why people always like to comment that he dresses up like a girl?! Hello?! That's call fashion!!!! And there are tons of guys out there who are wearing girl's sized clothes nowadays! Keep up with time can or not?! Damn. So he was commenting during the event like "Don't care too much about what people say. They say I wear bangles, then okay lor. I wear bling vest, okay lor." See, it's not really entirely about what people think. People do shaped up for who we are but we must always remember not to lose the true real of ourselves. and all. But does that bring him down? NO. So, I think he's really deserve to be famous for the fact that he's not a bragger (if you get what I mean), and he keeps to his own style. It's actually quite a tragic if Bloggers do not have their own style. What's a true successful Blogger if all your posts and work, dressings etc are all copied from other bloggers? Isn't that real tragic and pitiful? You do not have your own style, you do not deserve to succeed then. Get your own life people, that's the only way to be unique! Also being consistent is the key to success as well, and I do see that in TypicalBen. His readers and all will know that he's like in army now? Yet he always will set some time aside to update his Blogs with pictures that are PHOTOSHOPPED. Why I caps the word PhotoShop? Hello, if you're in army and you've off days, normally people will go out with friends whole day long or sleep for the matters. But, TypicalBen actually choose to set som time aside to edit his pictures and post it on his Blog to make us, his readers, happy peeps! That's commitment people. He don't stop at some random posts and leave it there for weeks or months! Effort is what he put in and hardwork is what I see. Consistency is the key and passion is the motivation. And I see all this in him!!! So obviously, I idolise him to the max and all his readers will agree that he does deserve to be a famous blogger! A Teen Blogger who motivates us!